Synthesis de nanoparticulas metallicos y polímeros. Doctorado: University of Mumbai, (2012). Maestria: Life sciences (Biotechnology) (2003). Gaurav Shrivastava, Julio García-Cordero, Moisés León-Juárez, Goldie Oza, Jose Tapia-Ramírez, Nicolas Villegas-Sepulveda & Leticia Cedillo-Barrón, NS2A comprises a putative viroporin of Dengue virus 2, Virulence, 2017. M.Ravichandran, GoldieOza, S.Velumani, Jose Tapia Ramirez, A.Vera, L.Leija, Design and evaluation of surface functionalized superparamagneto-plasmonic nanoparticles for cancer therapeutics, International Journal of Pharmaceutics, Volume 524, Issues 1–2, 30 May 2017, Pages 16-29, https://doi.org/10.1016/j.ijpharm.2017.03.071. M. Ravichandran, Goldie Oza, Francisco Garcia-Sierra, Norma Barragan Andrade, A.Vera, L. Leija, Marco A. Garza-Navarro, S. Velumani, Jose Tapia Ramirez, Plasmonic/Magnetic Multifunctional nanoplatform for Cancer Theranostics, Nature Scientific Reports, 2016. Goldie Oza, M. Ravichandran, Victor-Ishrayelu Merupo, Sachin Shinde, Ashmi Mewada, Jose Tapia Ramirez, S. Velumania, Madhuri Sharon, Maheshwar Sharon, Camphor-mediated synthesis of carbon nanoparticles, graphitic shell encapsulated carbon nanocubes and carbon dots for bioimaging, Nature Scientific Reports, 2016 DOI: 10.1038/srep21286. M. Ravichandran, Goldie Oza, S. Velumani, Jose Tapia Ramirez, Francisco Garcia-Sierra, Norma Barragan Andrade, Marco A. Garza-Navarro, Domingo I. Garcia-Gutierrez, Rafael Lara-Estrada, Emilio Sacristan-Rock, and Junsin Yi: Cobalt ferrite nanowhiskers as T2 MRI contrast agent. RSC Advances, 2015, 5, 17223. Victor Ishrayelu Merupo, Subramaniam Velumani, Goldie Oza, Mohamed Tabellout, Monserrat Bizarro, Sandrine Coste and Abdel Hadi Kassiba. High Energy Ball-Milling Synthesis of Nanostructured Ag-Doped and BiVO4-Based Photocatalysts, Chemistry Select, 2016, 6, 1278 – 1286. V.I. Merupo, S. Velumani, Goldie Oza, M. Makowska-Janusik, A. Kassiba, Structural, electronic and optical features of molybdenum-doped bismuth vanadium oxide, Materials Science in Semiconductor Processing, 31 (2015) 618–623. M. Rohini, P. Reyes, S. Velumani, M. Latha, Goldie Oza, I. Becerril-Juarez, R. Asomoza, Parametric optimization of mechano-chemical process for synthesis of Cu (In, Ga)0.5Se2 nanoparticles, Materials Science in Semi-conductor Processing 37(2015)151–158. Goldie Oza, Kusum Oza, Sunil Pandey, Sachin Shinde, Ashmi Mewada, Mukeshchand Thakur, Maheshwar Sharon, Madhuri Sharon. A Green Route Towards Highly Photoluminescent and Cytocompatible Carbon dot Synthesis and its Separation Using Sucrose Density Gradient Centrifugation, Journal of Fluorescence, November 2014, J Fluoresc DOI 10.1007/s10895-014-1477-x. M. Ravichandran, Goldie Oza, S. Velumani, Jose Tapia Ramirez, Francisco Garcia- Sierra, Norma Barragán Andrade, Marco A. Garza-Navarro, Domingo I. Garcia Gutierrez, R. Asomoza: One-dimensional ordered growth of magneto-crystalline and biocompatible cobalt ferrite nano-needles. Materials Letters 135 (2014) 67–70. (ISSN: 0167-577X). M. Adiraj Iyer, Goldie Oza, S. Velumani, Arturo Maldonado, Josue Romero, M. de L. Munoz, M. Sridharan, R. Asomoza, Junsin Yi: Scanning fluorescence-based ultrasensitive detection of dengue viral DNA on ZnO thin films. Sensors and Actuators B 202 (2014) 1338–1348. (ISSN: 0925-4005). 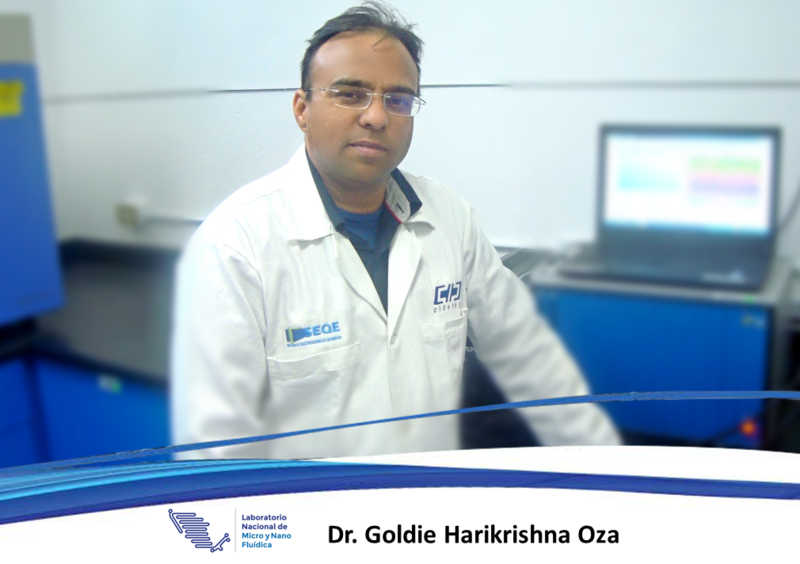 Rohan Kesarkar, Vikrant Sangar, Goldie Oza, Tanvee Sawant, Sweta Kothari, Madhuri Sharon, Abhay Chowdhary, Synthesis, Characterization and Hepatoprotective Activity of Neem Gold Nanoparticles for Improved Efficacy and Sustained Drug Release Profile of Azidothymidine, International Journal of Pharmaceutical Sciences Review & Research, 26 (2014) (ISSN: 0976-044X). Goldie Oza, Sunil Pandey, Arvind Gupta, Sachin Shinde, Ashmi Mewada, Pravin Jagadale, Maheshwar Sharon, Madhuri Sharon: Photocatalysis-assisted water filtration: Using TiO2-coated vertically aligned multi-walled carbon nanotube array for removal of Escherichia coli O157:H7, Materials science & engineering. C, Materials for biological applications. 10/2013; 33(7):4392-4400. (ISSN: 0928-4931). Sunil Pandey, Goldie Oza, Ashmi Mewada, Ritu Shah, Mukeshchand Thakur, Madhuri Sharon: Folic acid mediated synaphic delivery of doxorubicin using biogenic gold nanoparticles anchored to biological linkers. Journal of Materials Chemistry B, 2013; 1(9):1361-1370. (ISSN: 0959-9428). Sunil Pandey, Mukeshchand Thakur, Ritu Shah, Goldie Oza, Ashmi Mewada, Madhuri Sharon: A comparative study of economical separation and aggregation properties of biologically capped and thiol functionalized gold nanoparticles: Selecting the eco-friendly trojan horses for biological applications, Colloids and surfaces B: Biointerfaces 03/2013; 109C:25-31. (ISSN: 0927-7765). Sunil Pandey, Ritu shah, Ashmi mewada, Mukeshchand Thakur, Goldie oza, Madhuri Sharon: Gold nanorods mediated controlled release of doxorubicin: nano-needles for efficient drug delivery, Journal of Materials Science Materials in Medicine 03/2013; 24: 1671-1681. (ISSN:0957-4530). Investigador nivel I por el Sistema Nacional de Investigadores, CONACYT, México. (Desde 2015-a la fecha) Beca– CONACYT post-doctoral (2013-2015).